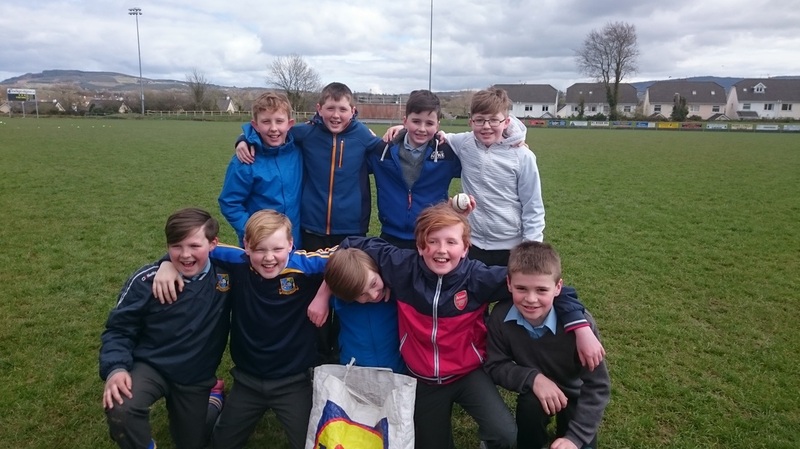 St. Finnacta’s hosted Group 3 of the Mini Sevens Competition on April 5th. Five teams took part and the games were extremely entertaining. Kilmurry N.S emerged as Group Winners and will go forward to the Finals. The other participating teams were St. Conaire’s N.S. , St. Aidan’s N.S., Clonmoney N.S. and St. Finnacta’s N.S. St. Finnacta’s Team on the day was as follows. 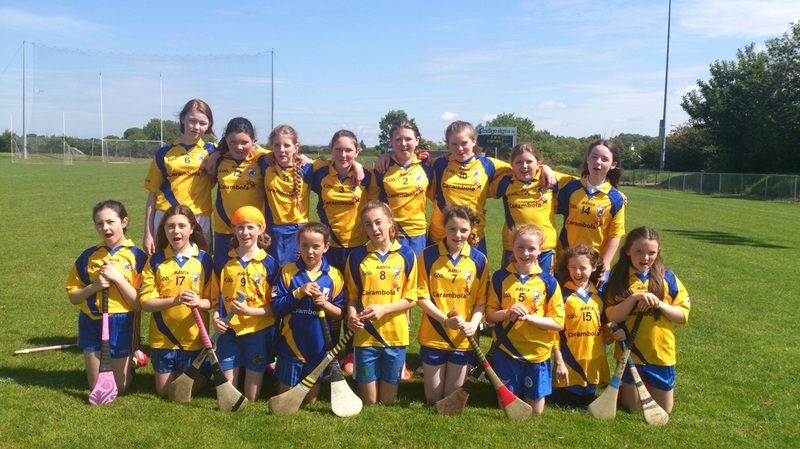 Back Row L to R : Sarah Keogh, Clodagh McDermott, Hayley Keogh, Áine O’Grady, Ava Harrington, Caoimhe Cahill, Jodie Whyte, Laura Szczesna. Front Row L to R : Róisín O’Grady, Aishling Morey, Miriam Quinn, Amy Quinn, Eve O’Leary, Claire Liddane, Eimear O’Neill, Julie Murphy. Thanks also goes to the 5th class boys who helped out on the day. Back Row L to R: Seán O’Reilly, Jamie Cooney, Michael Carr, Daniel Kelly. Front Row L to R: Seán O’Sullivan, Darren Hurley, David Hassett, Noah Sheehan, Patrick Ahern. ​The 2016 Camogie Season got off to a flying start today February 3rd with the opening round of the Indoor 7 a-side competition held in Cratloe Sports Hall. 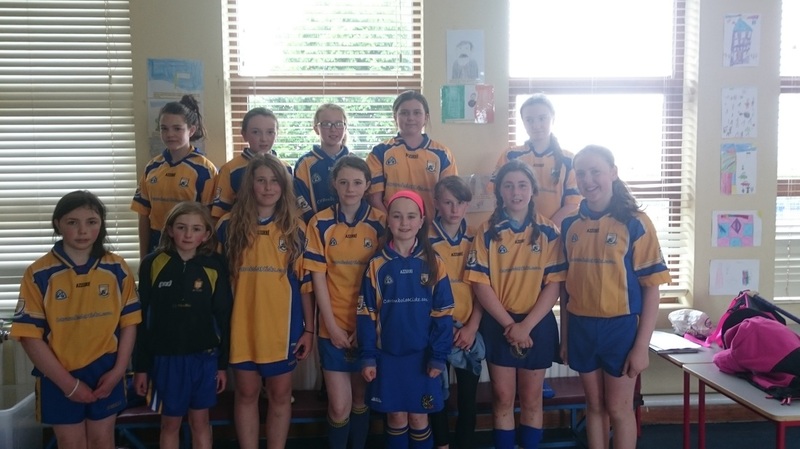 St. Finnachta’s played Kilkishen, Kilmurry and Cratloe and performed brilliantly leading to the team reaching the final play-off against Cratloe.The girls fought brilliantly and after extra time it was level leading to further extra time to see which side would get the ‘Golden Goal’. After a nail-biting few minutes Cratloe eventually got the ball across the line and were deemed winners. Sarah Keogh, Hayley Keogh, Mia Egan, Aoibheann Sweeney, Ava Harrington, Clodagh McDermott. Aishling Morey, Claire LIddane, Rosie Mai Ashley Kavanagh, Maria Vrabete, Róisín O’Grady, Julie Murphy. What an exciting day Tuesday June 16th was. The team headed off on a bus to Cusack Park to play near neighbours Cratloe in the Final. The sun was shining and all the girls were in great spirits. The game was at 2pm and from the throw in to the final whistle every effort was made by the players from both sides to get scores on the board. The teams were evenly matched in the first half but as the second half commenced early scores from Cratloe gave them the advantage and they ran out easy winners in the end. The game was played in a very competitive but friendly manner and all of the St.Finnactas players got some play time in the game . The girls received runners up engraved medals and will treasure the memories and the experience ! Reaching the final was a great achievement. Well done everyone! 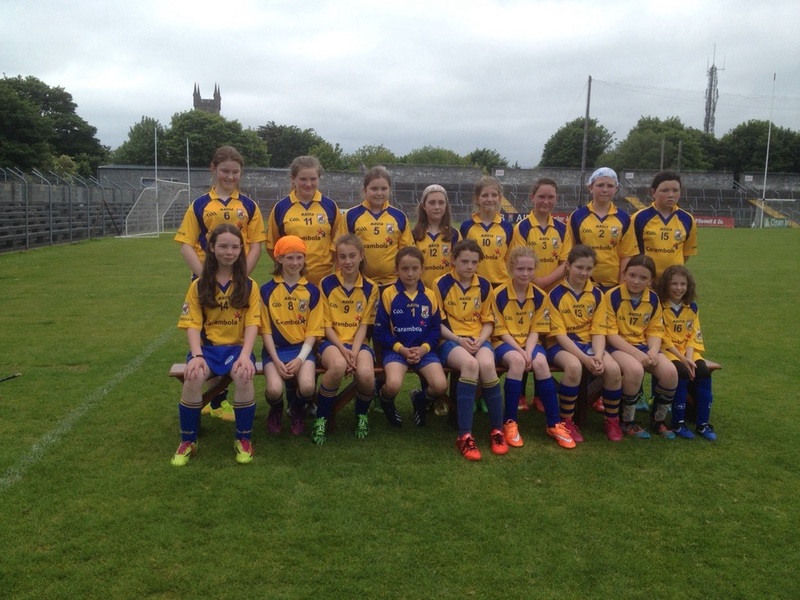 Girls on their way to Cusack Park Finals ! At 11 am this morning the girls played the championship semi-final against Quin National School. It was a very close encounter with both teams matching each other score for score. With just a couple of minutes remaining the teams were level. 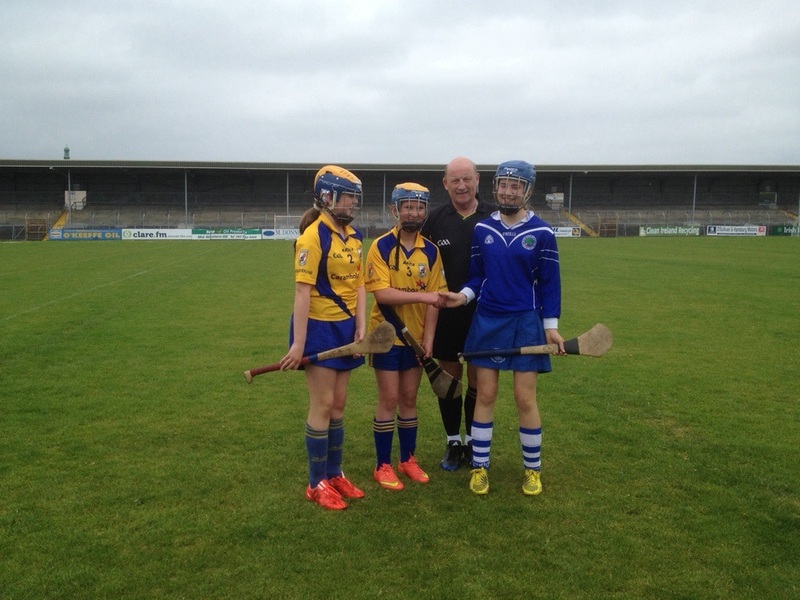 A good puck out from Sixmilebridge led to a great goal which turned out to be the winner. The team is now looking forward to the final in Cusack Park tomorrow June 16th at 2 pm. 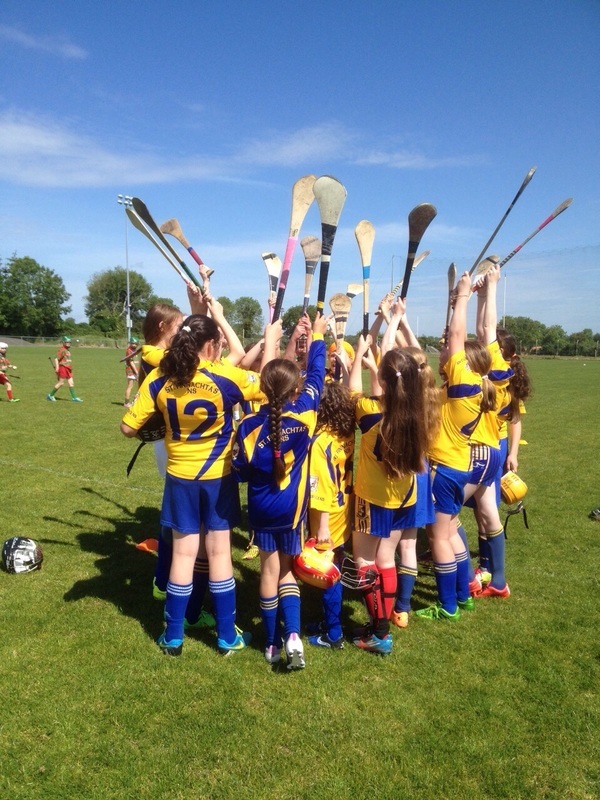 Off to a good start in the Cumann na mBunscoil Camogie Championship 2015 ! 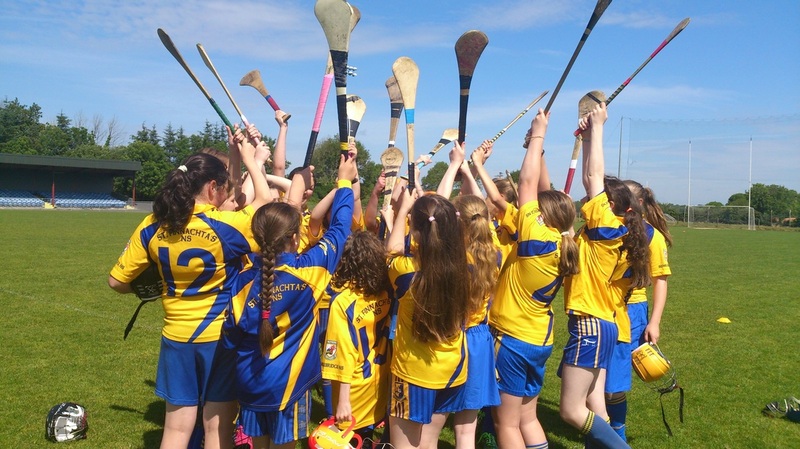 St. Finnachta's Camogie Team were in action on May 21st against Cratloe and Newmarket On Fergus in the opening rounds of this years championship.The matches were played in Sixmilebridge and the pitch was in excellent condition. Both matches were highly competitive. The final result in each game hung in the balance with scores hard fought for by each team . 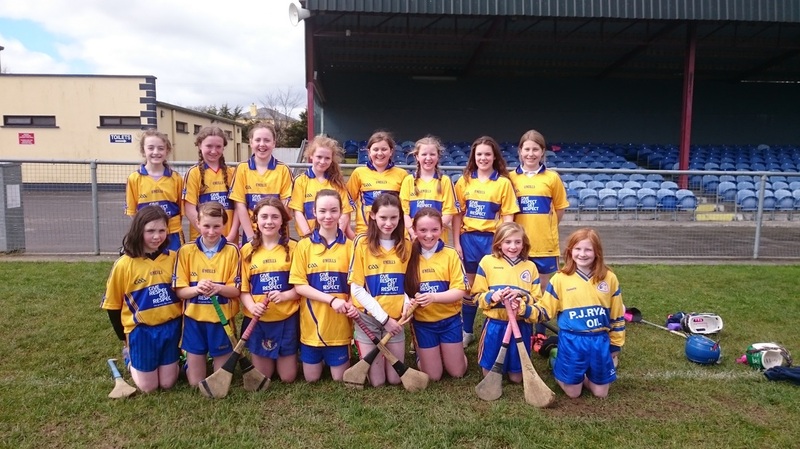 The Sixmilebridge girls dug deep and emerged victorious . They now progress to the semi-final which will take place shortly . Go néirí an tádh leo. 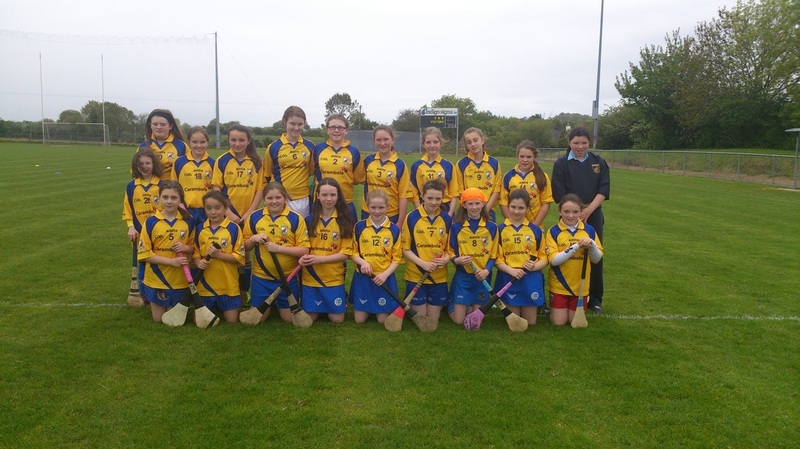 Below is a picture of the team which comprises 20 girls from 4th, 5th and 6th classes. Co - Captains on the day were Sinéad Cahill and Caoilfhionn Nic Giolla Cearra. 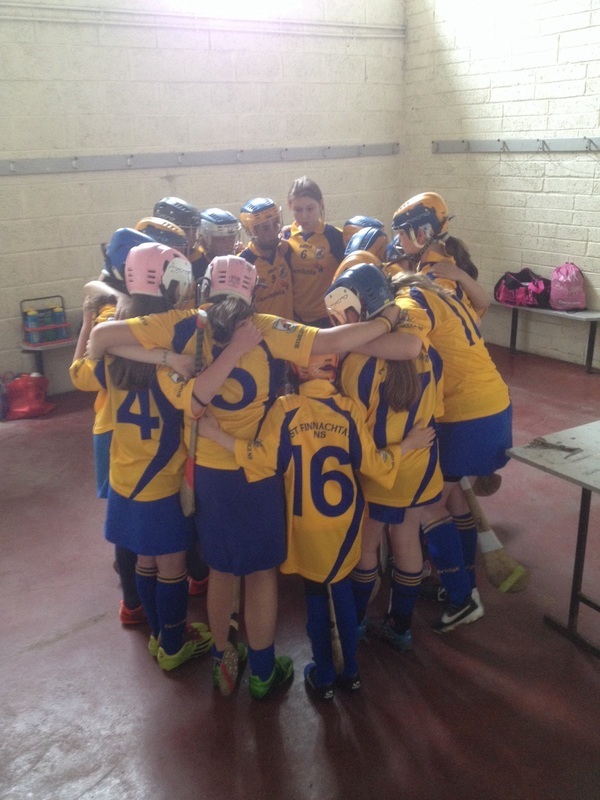 Cumann na mBunscoil mini sevens Camogie Team in action today ! 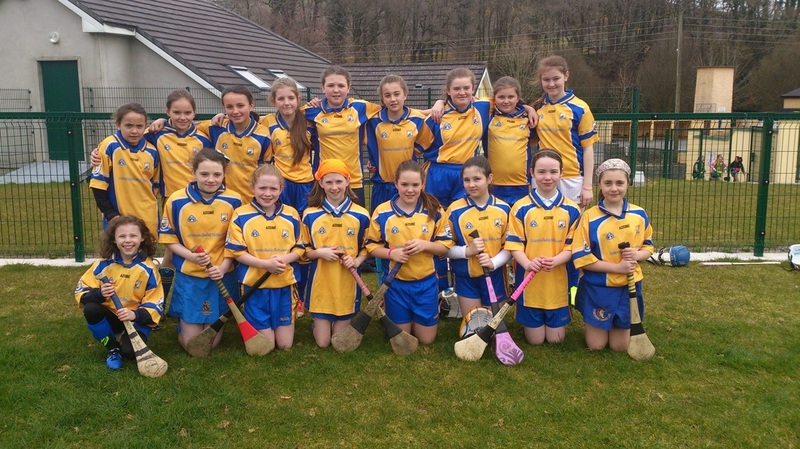 Today the girls competed in the Cumann na mBunscoil mini sevens outdoor Blitz held in Broadford. They played Clonlara in the first game and were narrowly defeated after a great comeback in the second half. This match was followed by a meeting with Killaloe. It was a competitive match and the St Finnachta’s team emerged victorious. All seventeen members of the panel participated in the games and enjoyed the experience. We are now looking forward to the Cumann na mBunscoil Championship after Easter.